Our August 29th meeting was an exciting one, as State Senator Greg Hembree made his annual visit to his hometown club! Senator Hembree gave an update on the activities over the last year in the state legislature, including his own work. He announced that the in 2019, DUIs will be possible on mopeds, a safety bill that Senator Hembree had been efforting for a considerable amount of time. Senator Hembree was also appointed to the Chair of a committee dedicated to the state’s public school systems! He stated that he wanted to help further empower school districts to make necessary changes to their respective schools to improve education statewide! Senator Hembree also spoke about the growing heroin epidemic that is taking its toll on our nation, and specifically, our state. He stated that the state legislature have made this issue a priority for future Sessions. 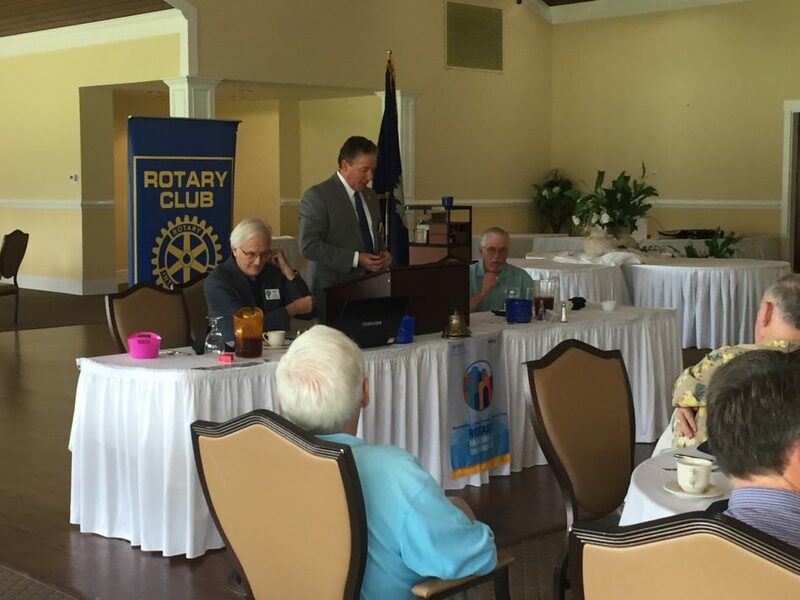 We thank Senator Greg Hembree for his visit to the North Myrtle Beach Rotary Club, and thank him for his service to our beautiful state!